Pay your age month at Croc’s Playcentres! 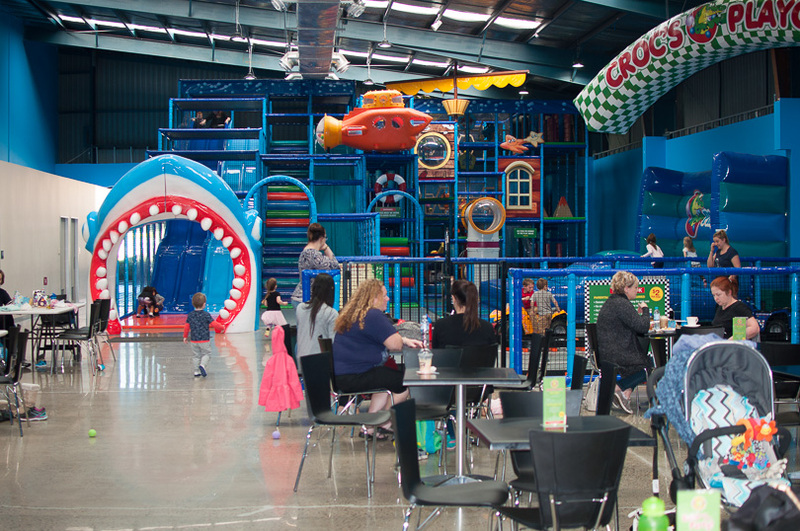 Croc’s Playcentres are turning 10 in February and to celebrate Castle Hill and Prospect centres are reducing weekday entry prices to the age of your child! So, if your child is 4 they’ll be charged $4 or if your child is 6 years old it’s $6… You get the idea! Cost: Entry price is the age of the child entering the Playcentre. Croc’s never charge for children under one and adults are always free. Additional Birthday Party Offer: Book your child’s 2019 birthday party when you visit ANY Croc’s Playcentre during February and receive a $25 discount! Croc’s Playcentres are located in 20 locations across Australia. Croc’s Playcentre is all about providing a super fun and spotlessly clean environment for kids and parents to relax and enjoy themselves. Operating 7 days a week Croc’s is there for families whatever the weather on a drop-in basis. Croc’s do the best kids parties on offer, taking the stress (and cleaning up!) out of organising kids birthday parties. There’s a range of fully hosted, themed party rooms to choose from along with the Disco Party and Baking Party – both super popular with kids! Proudly a community hub, our franchisees get involved in their local communities arranging charity events, supporting local clubs and providing employment opportunities for locals. Croc’s venues can also be hired out exclusively for corporate events, club events, school fundraisers, christenings and other events. One of things that sets Croc’s apart from the competition is their partnership with Muffin Break. Each store includes a Muffin Break cafe, providing carers with a ‘me-moment’ and healthy food options for kids. Signature beverage offers, award winning coffee and delicious wholesome food with healthy options, all made fresh daily. Now the market leader, Croc’s Playcentre can boast quality venues, immaculate service and great food and beverage. Come in and Join the Party! Unit 5, 6-8 Hudson Avenue (next to Flip Out).